Katie McMinn gives an up-close and personal look into her journey to motherhood in her memoir, Big Girl Decisions. With humor and humility, Katie exposes her vulnerabilities through reconciling her beliefs outside of the family she was raised in and overcoming her fears of failing as a mother. Hers is a path paved with tales of falling in love over pizza and heartburn, adopting puppies, realizing she feared the idea of changing her life, and working through an insurmountable amount of heartache to find joy in a new adventure called motherhood. For our day job, we edit and design this 64-page magazine, and manage all its contributors (photographers, writers, illustrators). The circulation is 20,000+ nationwide. It’s the summer of 1930, and it hasn’t rained for weeks. Everyone in Joliette, North Dakota, is worried about what the dry and windy weather will mean for farmers and townsfolk alike. But eleven-year-old Emma Moline is determined to have the best summer of her life. She and her cousin Peggy, her very best pal in the whole world, find no shortage of ways to entertain themselves. From the box-supper social to the Hamilton Fair, Joliette is full of opportunities for fun. Not even the meanest girl alive, Miss Aleena LaPage, can keep them from having a good time, and she certainly can’t keep Peggy and Emma from daydreaming about the new boy in town, the handsome Joe Applewood. 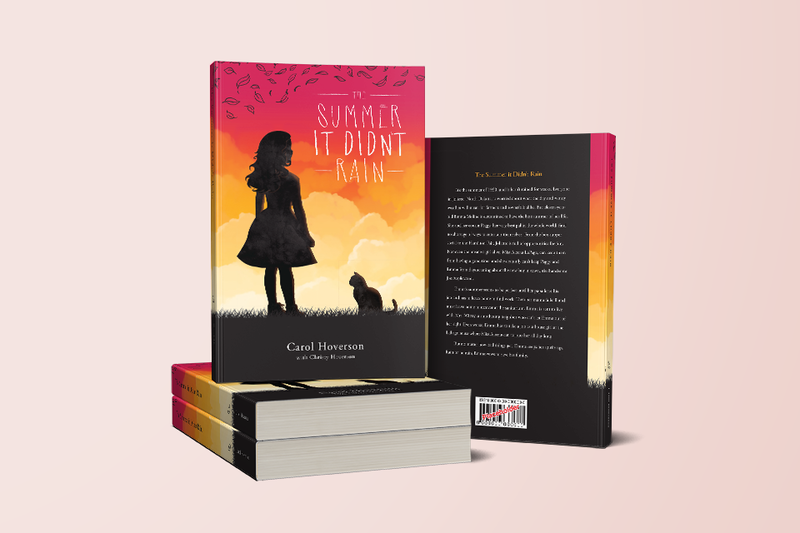 Emma’s summer seems to be perfect until her papa loses his job and has to leave home to find work. Then her mama falls ill and must leave home to recover at the sanatorium. Emma is sent to live with Mrs. Wittry, a smothering neighbor who can’t let Emma out of her sight. Even worse, Emma has to take a job as a house girl at the LaPage house where Miss Aleena can torture her all day long. But no matter how bad things get, Emma keeps her spirits up. Rain or no rain, Emma vows to save her family.